The political dream of singer Banky W has come to an end in 2019 after he lost out out at the polls. 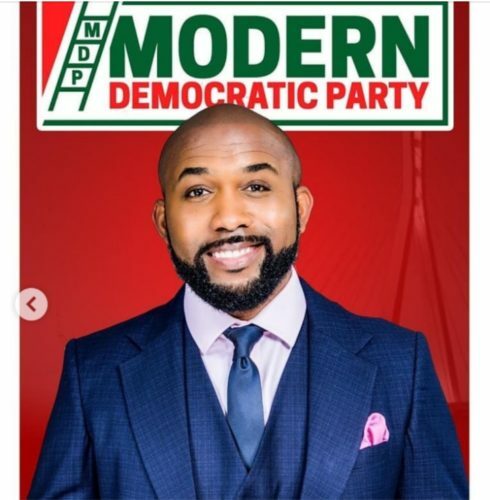 Olubankole Wellington better known as Banky W moved from being just a musician to becoming a politician in the past few months. The EME boss has a House of Representatives hopeful for Eti-Osa Federal Constituency. He contested the seat in the Federal House under Modern Democratic Party (MDP). However, following the release of results from INEC for the presidential and National Assembly elections indications are that Banky W lost the House of Reps election for Eti-Osa. APC’s Ibrahim Obanikoro won the election ahead of other contestants. The musician turned politician has conceded the election defeat and has also thanked his followers and supporters in his latest video. He said despite that MDP was greatly outnumbered they put up a great fight nonetheless.